Do you know about signs? Here are some FACTS……. You see them every day, but how often do you stop and think about the huge role signs play in our lives? Here’s some fun and interesting facts about the marketing and visual communications pieces that help us know how to save, where to shop and when to STOP. According to the Outdoor Advertising Association of America, black text on a yellow background has the highest visibility color combination. 30 to 40 percent of a sign’s face area should be left as white-space for optimal readability. Adding a border to a sign helps focus the reader’s attention so they can read it 26 percent faster. 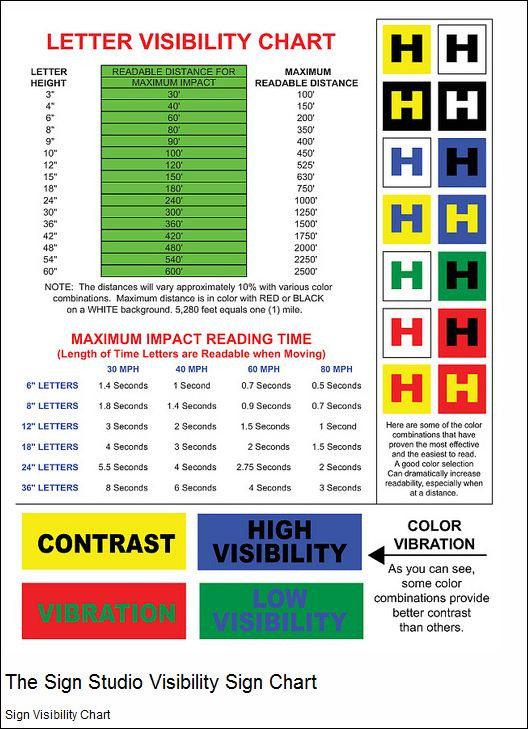 Presenting information in a second color can increase a sign reader’s retention by 78 percent. Neon is popular for business signs and naturally produces a red glow, but over 150 other colors can be created with the use of other substances. Most commonly, argon, phosphor, xenon, helium and mercury are used to create different colors in neon signs. 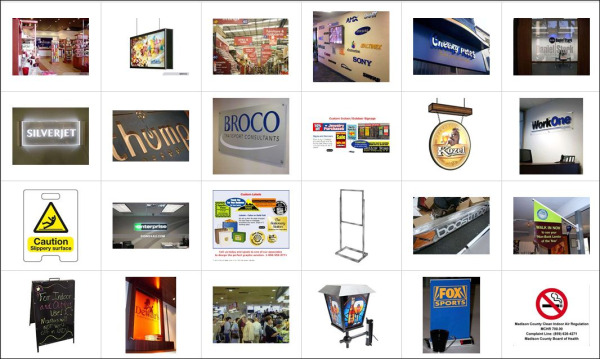 An on-site sign viewed by 85 percent of the retail market at an average of 10 times a month costs only $0.02 per thousand exposures. A gold leaf sign will last 15 to 25 years. There IS such a thing as too many signs! The Sign Studio can help you host a great indoor event. Whether you are planning a citywide series of shows, organizing a large fundraiser or an entire convention, fashion, or trade show, or just manning your company booth – our indoor event signage is a great way to market your event, big or small. 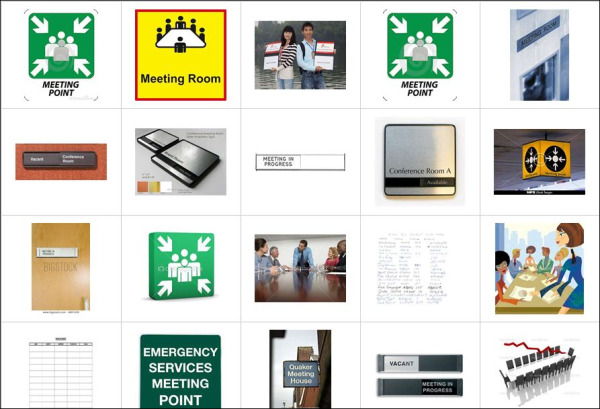 Our indoor meeting and event sign solutions make it a breeze to put together your function. Whether its room signs, informational displays, or directional signs, we can help you do it easily and affordably. Be a star at your next big meeting or conference with our high-end, high-impact presentation materials. Is your upcoming court case crying out for dramatic visual exhibits? You’ve got one chance to capture attention, establish credibility and engage your audience. Do it right by letting The Sign Studio help you produce your presentation materials. Our design professionals can help you create high-impact presentations, handout materials and anything else you need to perfect your presentation or training session. As the weather chills up and the days get shorter, many businesses are gearing up for special events and Holidays. Visual communications play a large role in all special events, and especially golf tournaments, weddings and vacation destinations. There can be more signage at an average wedding than a large business conference! If the church or reception area is tricky to find, wedding coordinators will often post well-designed signs to direct guests to the right spot. Most weddings have printed programs outlining the event and giving guests important information. Visual communications extend through the event, as guests pick up printed seating cards and peruse specialized menus. Many brides have made a souvenir to last a lifetime by having a large portrait of the couple custom printed with a wide border for guests to write their best wishes. Businesses in vacation destinations and towns frequented by summer tourists can benefit from additional visual communications as well. Hotels hosting special events such as wine tastings or pool parties can promote attendance with tasteful signage in the lobby and elevators. Attendance at community events like art fairs, carnivals and 5K races can be improved with promotional signage around town. Tourists, by definition, are unfamiliar with the area they are visiting. Restaurants and bars in areas with numerous summer tourists may benefit from posting additional signage. Large outdoor banners promoting hot dog specials, manicure deals or a free breakfast with hotel stay can help boost business. Let a visual communications professional help your company capitalize on wedding and vacation business this summer, and enjoy the profits along with the weather! 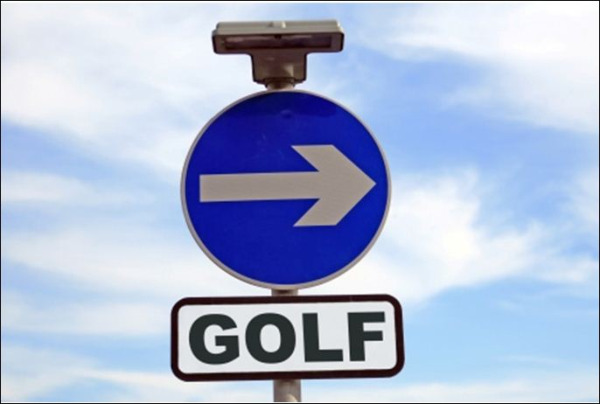 Signs are a great visual communications tool for many things: announcing a new product, promoting a sale or providing directions during a construction project. But when these timely messages are no longer useful, what can you do with the sign? There are many ways to make your business greener by reusing and recycling old signs and signage materials. Aluminum, cardboard and most plastics can simply be put in a mixed curbside recycling container. Requirements and guidelines for curbside recycling vary from city to city, so check the guidelines for your specific area. If curbside pickup isn’t available, you can search for the nearest recycling center at Earth911.com. Cardboard signs can be put in most curbside recycling bins. If the recycling is separated between paper, plastic and metal, cut off any plastic zip ties or metal grommets from the cardboard. Cardboard signs can also be cut up and used for garden mulch or a weed barrier under a layer of dirt. Aluminum Signs are highly recyclable. They can simply be melted down at a recycling facility and reused. Recycling aluminum requires only five percent of the energy used to make new aluminum. It can be recycled infinitely with no loss in quality. In fact, 75 percent of all aluminum produced since 1888 is still in use today. 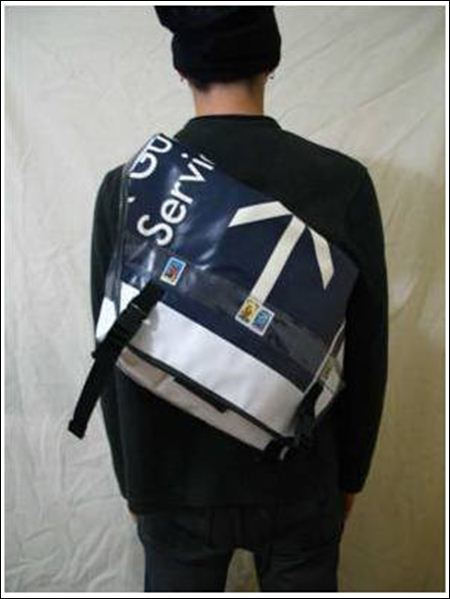 Most plastic signs can also be sent to a recycling facility or easily repurposed. 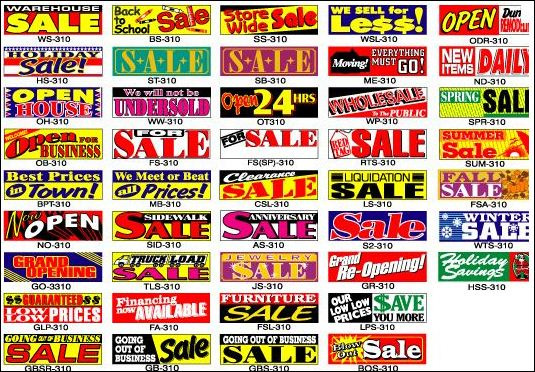 A professionally printed sign looks best for a business establishment, but you can reuse these signs for less important personal use. Print out a Garage Sale announcement and tape it to an old plastic sign to quickly make a sturdy neighborhood announcement. They can also be easily painted with new messaging. Banners make excellent tarps for lawn maintenance or covering building materials. Old banners could be donated to a school to use as a tarp for arts and crafts. With a little sewing work, old banners can be made into reusable and sturdy bags for lawn clippings or laundry. They can also be sewn into a weatherproof outdoor cushion or ground seat. Cut the banner into two large circles or squares, fill with layers of newspaper and sew shut. Whether you need small office directory signs for the interior of a small building with a few offices, or a larger directory sign to accommodate many tenants, The Sign Studio has a directory sign solution to fit. Whether the seasons are changing or the next generation of a product has arrived, every retailer faces the same challenge of moving older stock to make room for newer products. Well-placed, professional signage can help liquidate the last of your stock and make room for the new best-sellers. Paco Underhill is the CEO and founder of Envirosell, a global retail research and consulting firm. He offers many helpful tips about in-store signage in his book Why We Buy: The Science of Shopping. Bob Radcliffe, Jr., Director of Marketing for Display Dynamics, Inc. recommends creating a “Power” display at the front of the store that acts as both a speed bump and a billboard. It doesn’t necessarily have to contain merchandise, but should encourage consumers to get in the shopping mindset. Target Stores has had great success with this tactic, creating a “1 Spot” Dollar Store power display at the front of the store. It encourages customers to begin shopping the moment they enter the store and makes them think other deals are available further into the retail establishment. Get the audience’s attention. If you don’t get their attention first, nothing that follows will register. Present your message in a clear, logical fashion (beginning, middle, end). Deliver the information the way people absorb it- a bit at a time, in the proper sequence. If you tell them too much too soon, they’ll get confused and give up, ignoring the message all together. Excellent content can be further bolstered by having signage professionally printed in contrasting colors. Radcliffe also says signs can multiply the power of a price reduction by a factor of six. Utilize the above tips to provide high-impact, point-of-purchase messaging that drives sales and liquidates older inventory. If you think of vehicle graphics simply as identifying marks on a mode of transport, then the concept has been around since medieval times. Family crests were painted on horse-drawn carriages and applied to horse tack to identify property and show family pride. Starting in the 1800’s, company graphics were painted on commercial train cars to help increase exposure as they travelled the country. 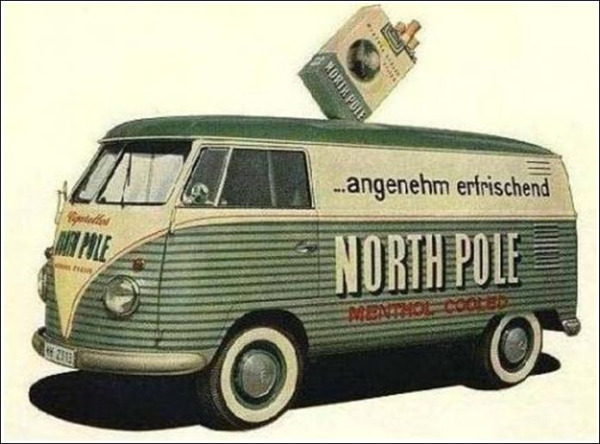 By modern times, in the 1950’s, German advertisers were turning the Volkswagon Transporter into rolling billboards. It took a few decades before NASCAR sponsors began to recognize the potential each car possessed as a fast-flying advertisement. However, in the 1970’s sponsors realized value in placing vehicle graphics on the cars and began to do so. Vehicle wraps have come a long way even since the early 1990’s, when full-color printing was uncommon, expensive and considered “cutting edge”. It took hours of labor to apply text one color at a time, and using photographic images was not yet an option. Today’s vehicle wraps can be produced using almost any digital image. Advancements in technology have led to new types of vinyl designed specifically for doing full vehicle wraps. These materials feature air channels to prevent bubbles and microscopic glass beads that prevent the adhesive from taking hold until the panel is squeegeed to completion. With hundreds of years of history, it’s no wonder vehicle graphics are so popular today. They allow individuals to customize their vehicle without paying an expensive custom auto shop. The effectiveness of commercial vehicle graphics has been proven. Outdoor Advertising Magazine said that outdoor mobile media billboards have a 97 percent recall rate and the American Trucking Associations noted 91 percent of the target audience noticed the text and graphics on truck advertising. If you’re considering investing in vehicle graphics you will continue a long tradition of successful mobile advertising. Regulatory signs are all around us every day, telling us when to Stop, where to Enter and how to Park. It’s not until they are missing, or in a different language that we realize how much we rely on them. 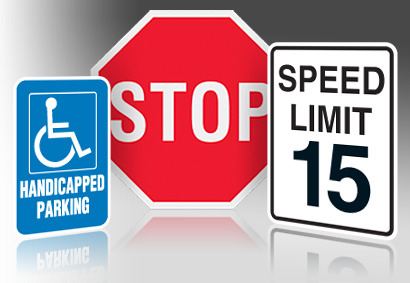 Here’s a roundup of the Top 10 Signs We Take for Granted! They may seem painfully obvious in July, but when the snow is falling and parking lots aren’t cleared well, a big yellow sign helps keep your bumper attached to your car. A trail through the woods can seem perfectly clear…until it isn’t. In a situation where staying on track can be a matter of life or death, having trail markers along the way gets us home safely. We still need to find locations by address, even in a GPS world. Address numbers on a home can seem like decoration until you’re trying to find a friend’s house, squinting at mailboxes and dark porches, desperately hoping for any kind of a clue you’re on the right block. They’re not just to cover liability for property owners! A wipeout on a wet tile floor isn’t fun for anyone. People in the United States take them for granted so much that we assume a commercial floor is bone-dry if one isn’t posted. How else would we know not to honk at the idiot going 10 under the speed limit in the left lane? The next time you think the utilitarian green exit sign disrupts the feng shui of an antique theater, remember if all the lights go off in a fire, you’re going to be happy to see how to get out. Wait until you visit a foreign country where you don’t speak the language to appreciate how these little indicators keep us from walking into doors face-first. It’s a law of nature- when you are driving on an unfamiliar road and see a police car, there will be NO speed limit sign for the next five miles, while there seem to be 100 of them in your neighborhood. Take a left on Lincoln Ave. Was that Lincoln? Did I just pass it? There wasn’t a sign but I don’t think it was this far…so goes the mental agony of a missing street sign. Stimulate hunger with full color images and descriptions of your menu items. Menu boards contain a lot of information in a limited space. 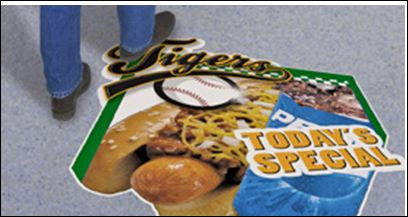 Let the experts at The Sign Studio design and lay out a menu board that influences purchases and graphically represents your menu items, within your budget and on-time. Use to announce your big event, new products and sales promotions. 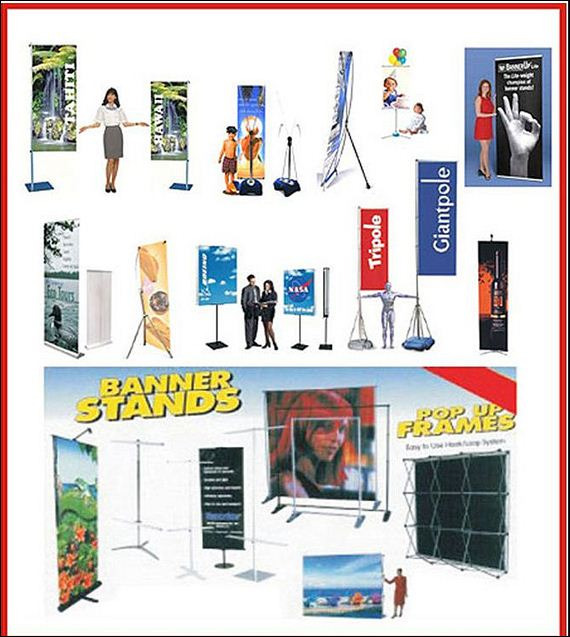 When you are putting on a series of events that require different banners, custom banner stands are a terrific, easily changeable option. Our digital imaging technology lets you scale almost any image to banner size, giving your banner additional, larger-than-life impact.